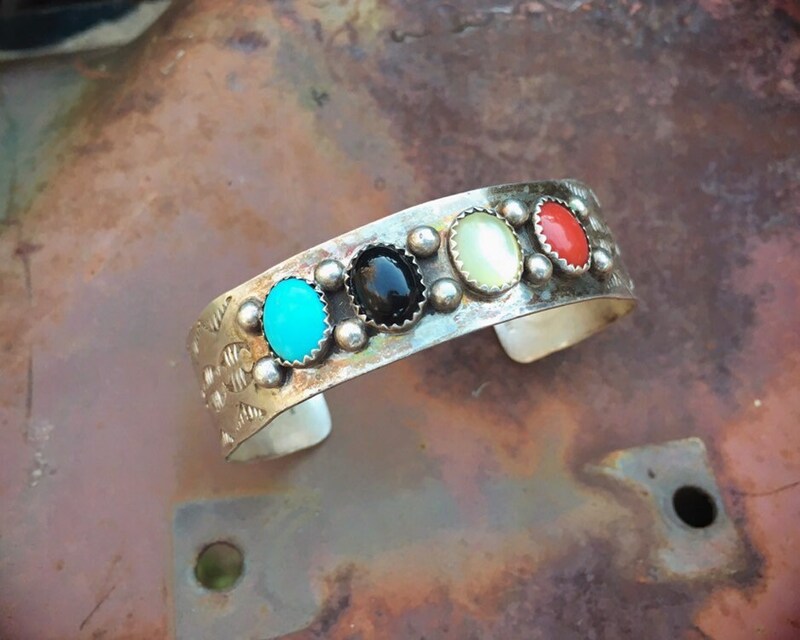 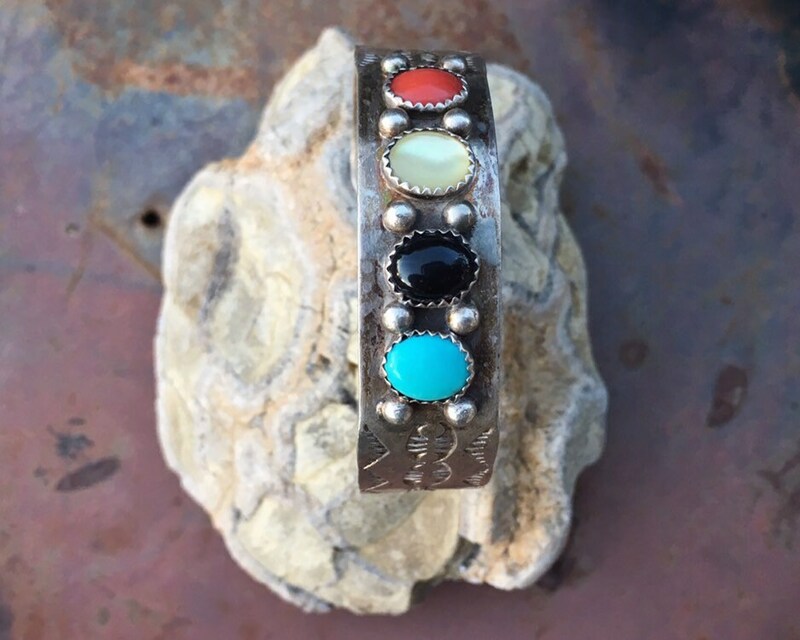 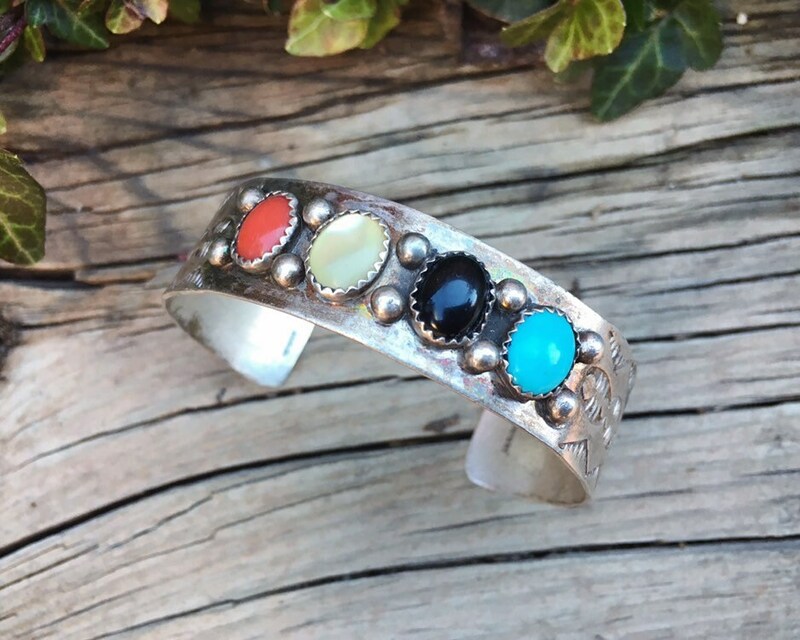 This vintage cuff bracelet has a simple and almost raw look to it, with a thin sterling silver foundation and four cabochons of different gemstones: turquoise, black onyx, yellow Mother of Pearl, and coral. 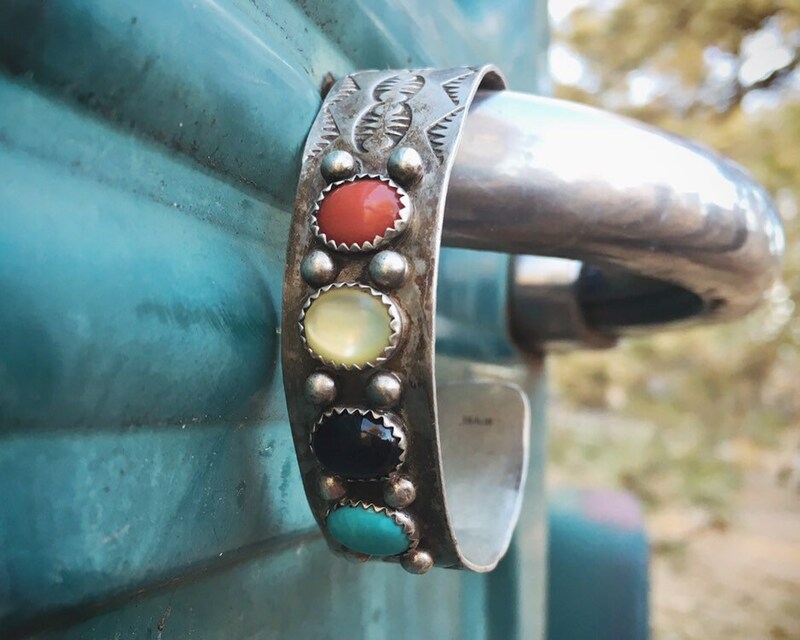 It's circa 1980s to 90s, and although it is unsigned, we believe it is Navajo. 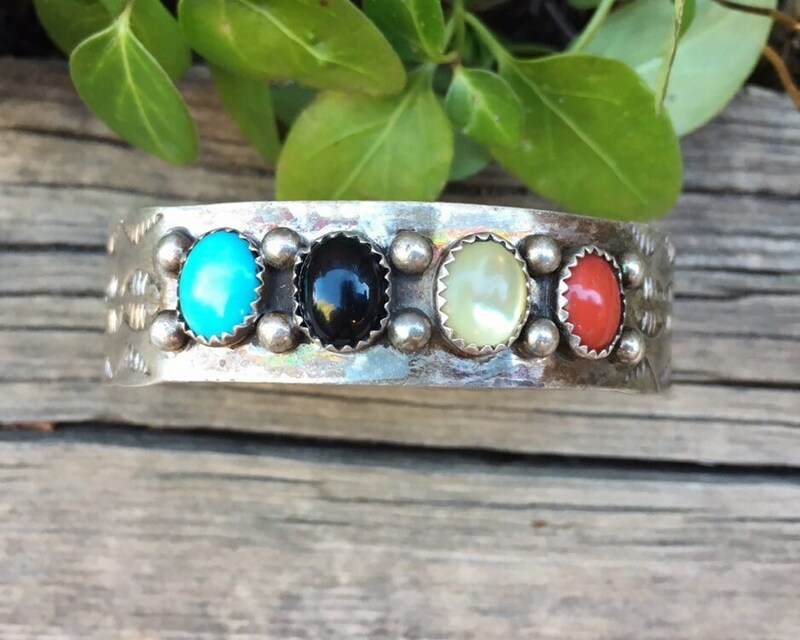 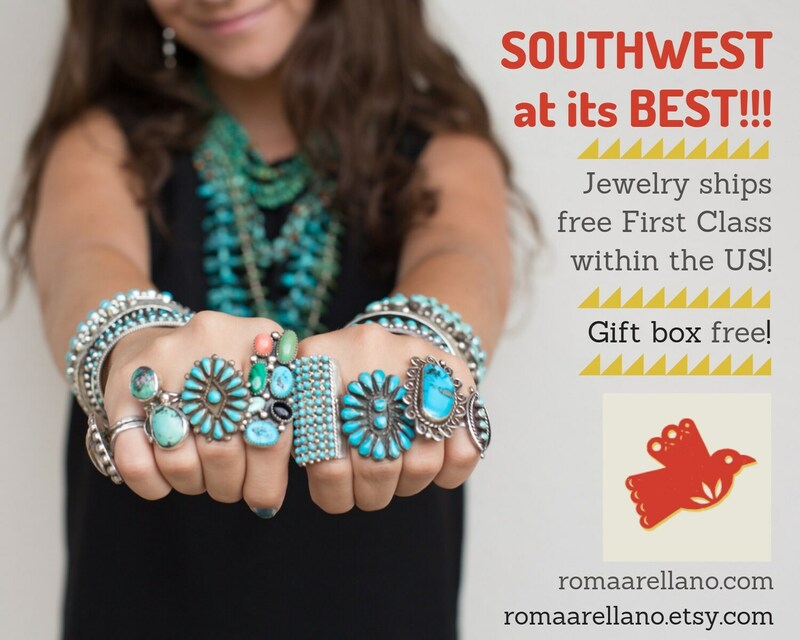 A great bracelet to stack with others or to wear alone. 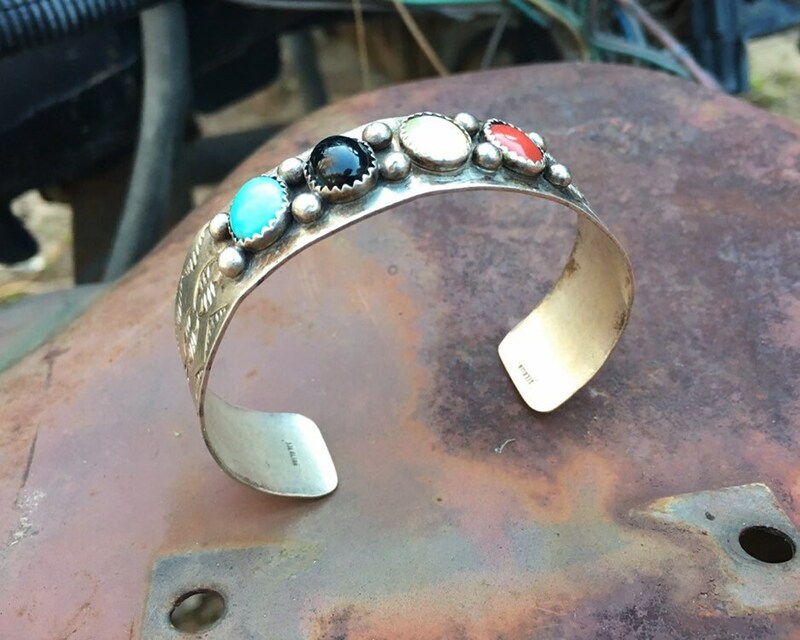 The bracelet measures about 5-3/4" taking a tape measure along the inside, with a 1-1/4 gap, for a total of 7". 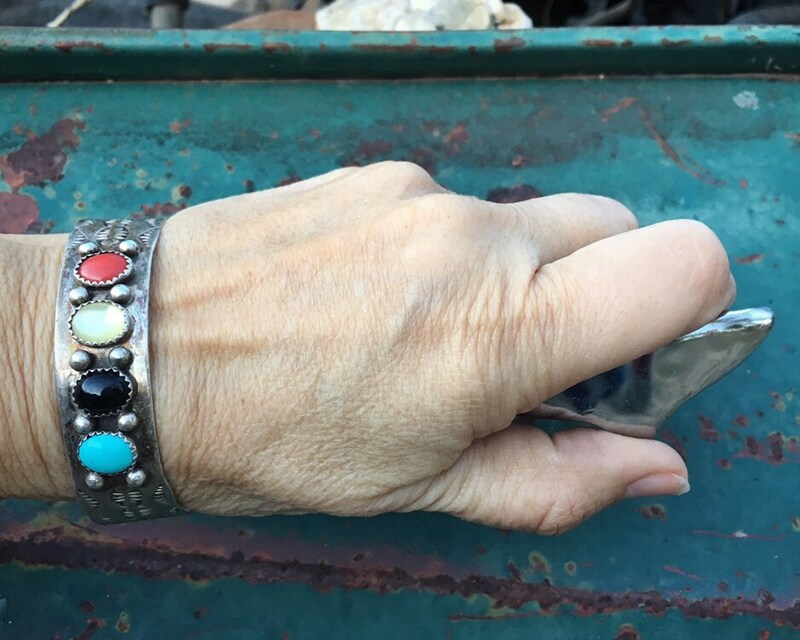 Has natural oxidation in between the settings, which give it depth and which I would keep. 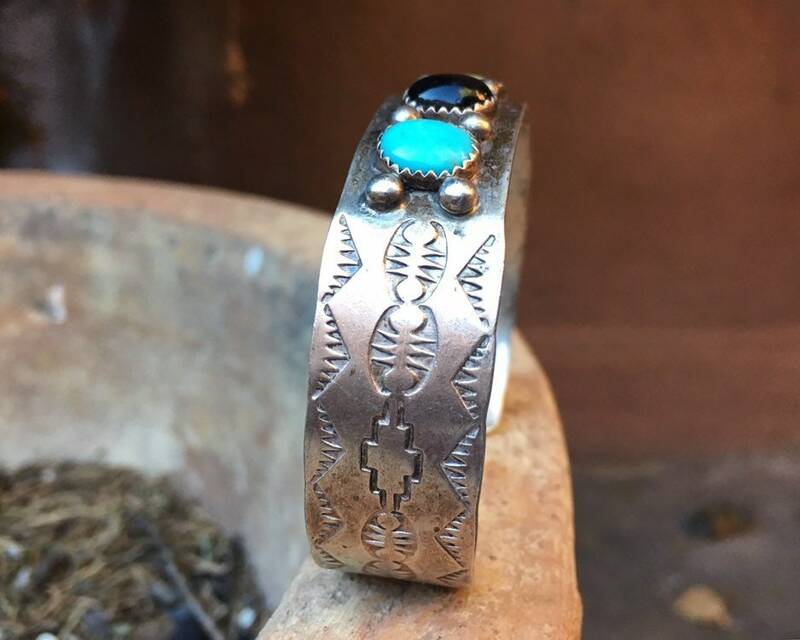 Is no longer perfectly symmetrical. 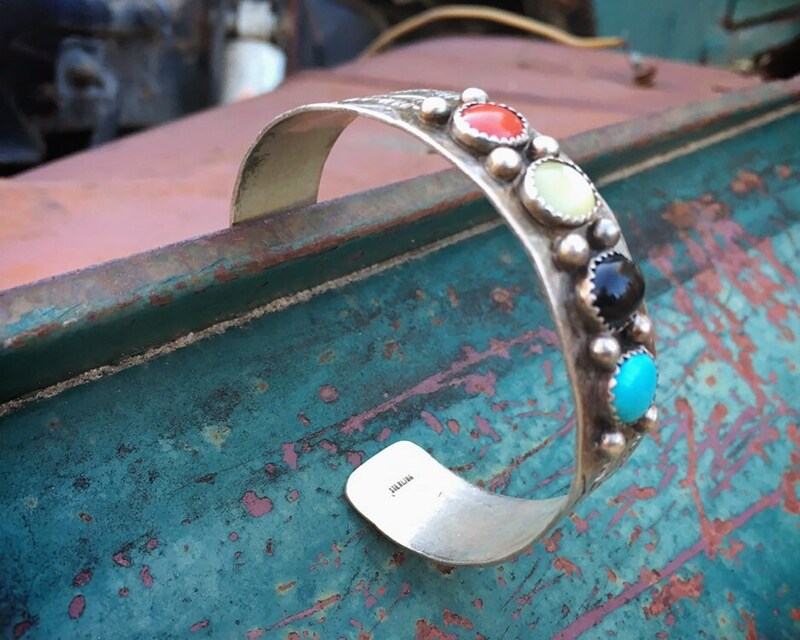 A fabulous piece for adorning your arm, up and down!